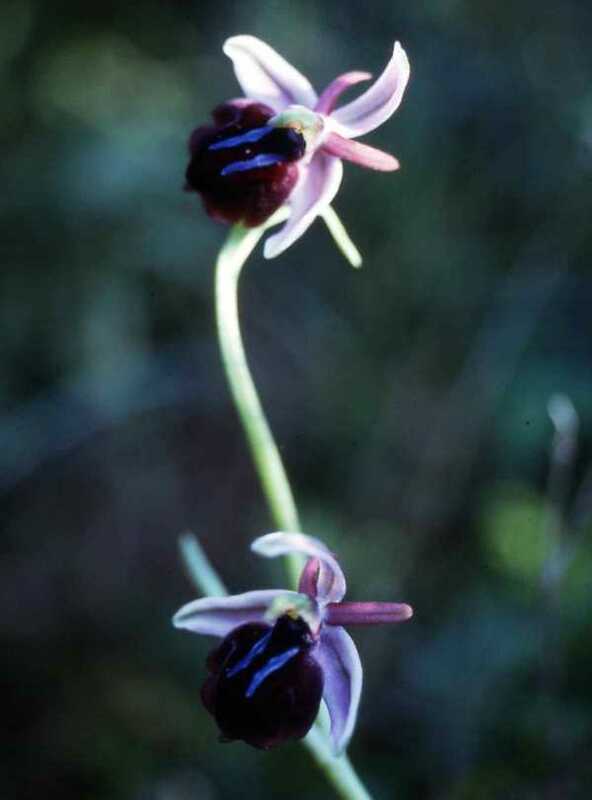 This subspecies of the Early Spider Orchid (Ophrys sphegodes) is characterised by a deeply divided lip that forms three lobes, the central one being the largest. The lip is black and velvety and the speculum is H-shaped and sometimes grey or intense blue in colour. The sepals vary in colour and can be green, pink or sometimes so dark that they are almost purple. This orchid occurs in southern Greece, Crete and the Aegean islands only. The specimen shown on this page was photographed in Crete. The Grecian Spider Orchid flowers from the middle of February until the beginning of April.